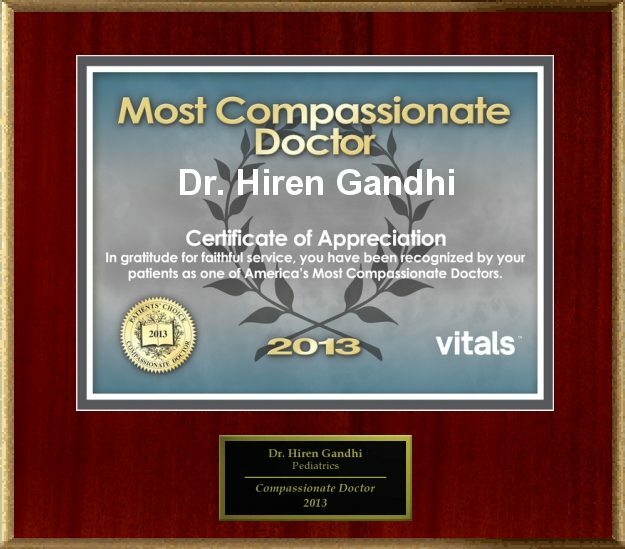 Dr. Gandhi was a referral, and we have not been disappointed. 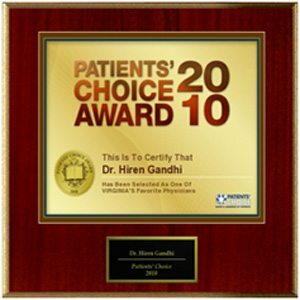 We have been working with him as our infant son’s primary care pediatrician since our boy’s birth. Dr. Gandhi has proven very attentive, and quite patient with the phobias that come with first-time parenthood. He is also excellent at identifying and warning you in advance of the things you will see with a new-born, letting you know what is normal and standard to pre-empt potential over-reaction. However, he is also admittedly conservative in his approach, ensuring detailed follow upon even the seemingly most slight symptoms. He caught a condition in our son with simple stethoscope that was missed by several other doctors at the birth of our child and by some very high-technology tools during the pre-natal period. On a final point, one of the most valued aspects of Dr. Gandhi’s practice is his accessibility. We haven’t tested this to any major degree, but early indications are that Dr. Gandhi’s stated accessibility is backed up in practice. He has followed up consistently with phone calls to check on outstanding matters, showing both attention to his work as well as a genuine interest in our child’s condition. He also has office hours on Saturday as needed. I am not sure we could ask for more from a pediatrician…..